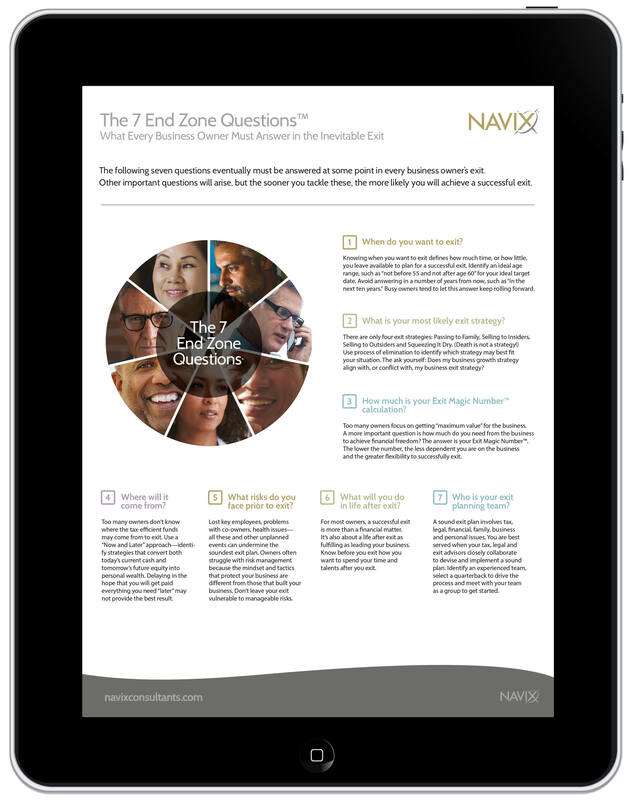 The following seven (7) questions eventually must be answered at some point in every business owner’s exit. What is your most likely exit strategy? How much is your Exit Magic Number™ calculation? What risks do you face prior to exit? What will you do in life after exit? Who is your exit planning team? Other important questions will arise, but the sooner you tackle these, the more likely you will achieve a successful exit.